MDL monopulse antenna feed comparators are designed from proven stock components, and provide excellent phase and amplitude control to ensure deep nulls and minimal boresight shift with frequency. Dual polarization monopulses employing orthogonal transducers in conjunction with hybrid networks are available. This unique design permits the use of both horizontal and vertical polarization in any antenna feed system. Matching polarizers to generate circular polarization are also available on request. 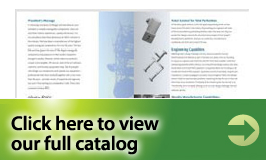 Just a few typical designs of the many monopulse antenna feed comparators available are described here. 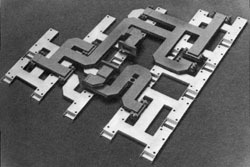 MDL is ready to quote on custom-designing monopulse antenna feed comparators to meet your special requirements.